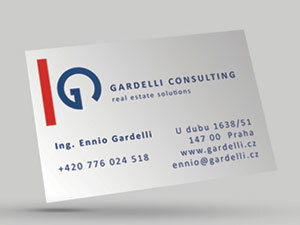 Ennio founded Gardelli Consulting in September 2015 with a vision of establishing long and successful partnerships with growth-oriented real estate developers and business entities operating in the Czech Republic. Highly capable in the overall integration and success of all aspects of large residential developments, including land acquisition, master planning, zoning plan and construction permits approval, negotiation with authorities, management of external engineers and designers, contractors tendering, business plan creation, cash flow and feasibility analysis, cost controlling, preparation of all legal documentation and approval requirements, the branding and marketing strategy and sales structures, including property owner associations. My duties include design of conceptual site plans, coordination and review of surveys, geotechnical and environmental investigations as part of the due diligence process, management of civil and architectural design process with outside consultants and working directly with municipalities relating to plan review and approval process. I have been living already several years in Czech Republic, where I moved after my university degree at the “Politecnico di Milano” as building engineer. Speaking three different languages, Italian, Czech and English, helps me to interact in a professional way with all the possible figures. As a consultant, my role is to add value to your investment. Anticipating problems gives the possibility to prepare a strategic plan on how to solve them. Logical thinking and methodology uncover useful solutions brings value to customers as the basis of a successful business. Optimistic, especially since the economy is not always in a thriving position, paired with realism and excellent problem solving skills is mine strong trait. I have a healthy cultural mix which helps me to see the situations from very different perspectives generating knowledge and ideas. To be the consultant of choice, recognized for the quality of the service and the care for the customer.